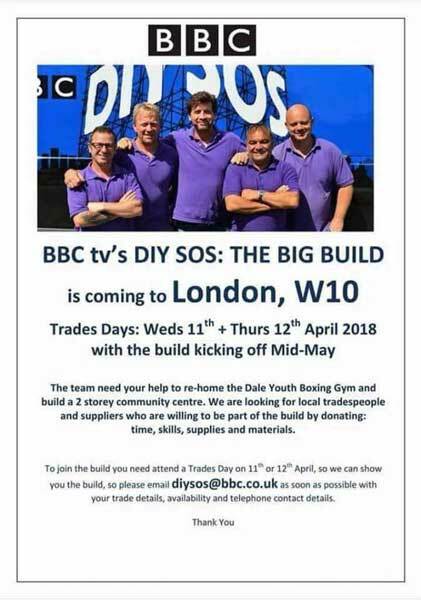 The BBC DIY SOS – The Big Build – television programme is appealing for help from the trades for a very special project at the Dale Youth Boxing Academy. The amateur gym was destroyed in the devastating and horrific fire that killed 71 people in June 2017. The gym is where James DeGale and George Groves started their amateur boxing careers.